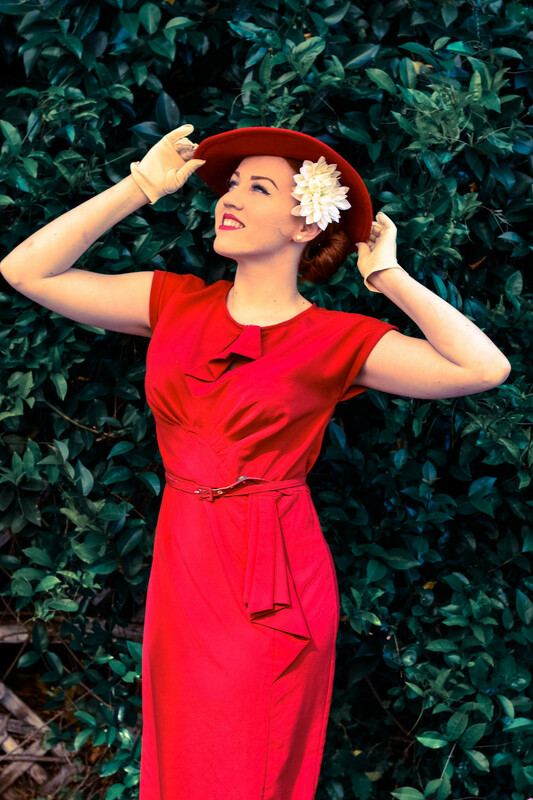 Let’s have a heart to heart about the Stop Staring Timeless dress in RED! I think it’s safe to say that this was my very first vintage style dress I ever had in my possession. My dear friend, Vivian, surprised me one day with it! It didn’t fit her, so of course I was willing to wear it & put it to good use. Stop Staring dresses are the epitome of classic elegance. 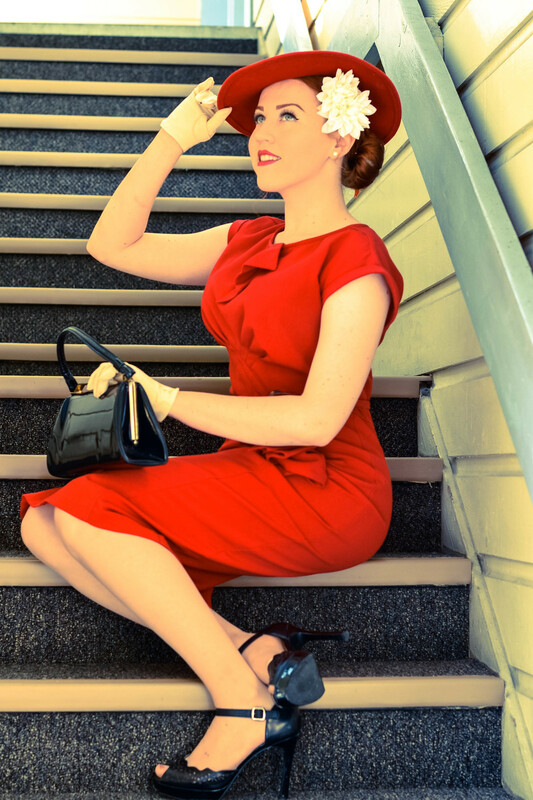 If you want a truly 1940s, 1950s vibe Stop Staring is where to check. Clean lines (aka well formed) & it truly does seem to flatter many types of body shapes. I’m wearing a size large, though I do believe it is even a tad too large for me! Next time I shall go for a Medium. My hat is from 2525 Vintage. During this year of falling deeply, madly in love with recreated vintage wear & buying actual vintage outfits, I’ve come to a conclusion. I absolutely adore real vintage, from the actual era, however I dress in this fashion on a daily basis and those real vintage outfits take great care. Sometimes my zippers will break or the fabric will tear. 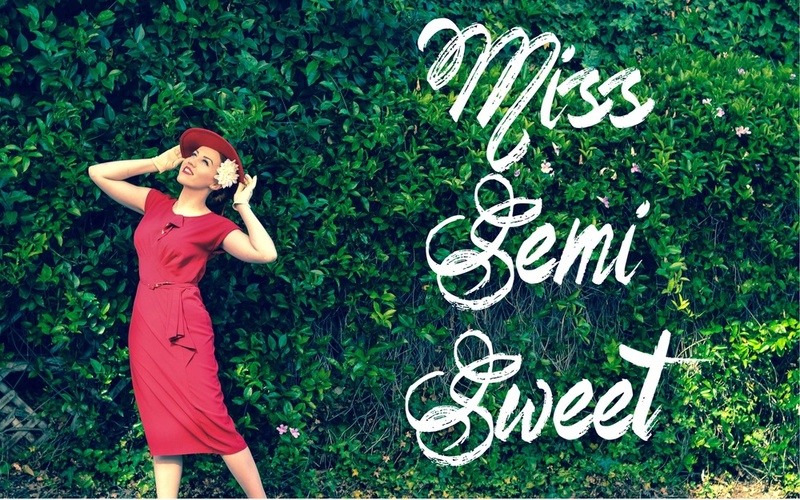 I love to find recreated vintage dresses, because they will last longer and look just as great. Now, gloves & hats on the other hand are a total steal at vintage thrift shops! I scoop up them up whenever I can. Hats for me are like most women’s obsession with shoes. I have to have one of every color, size, and shape. I’m drooling over my collection as I type, but it’s still not complete! I must have all the hats!